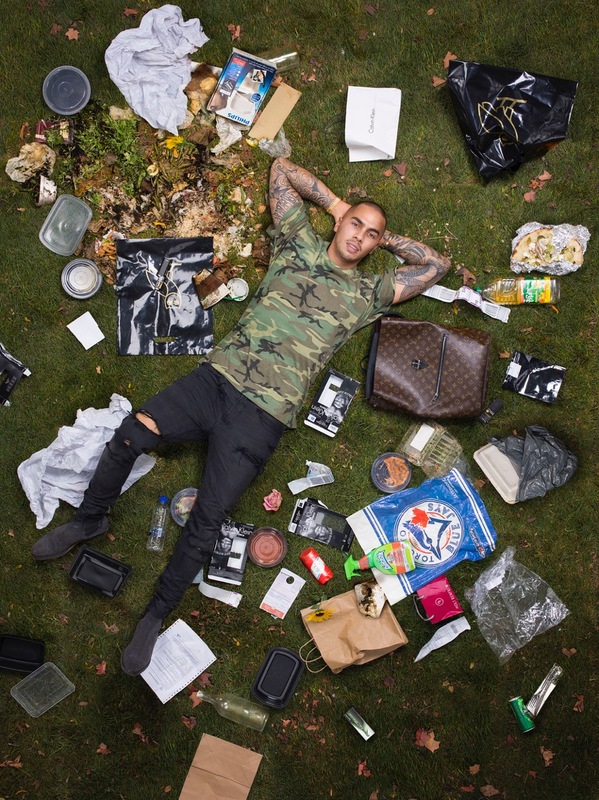 7 Days of Garbage – Studio 141 Inc. 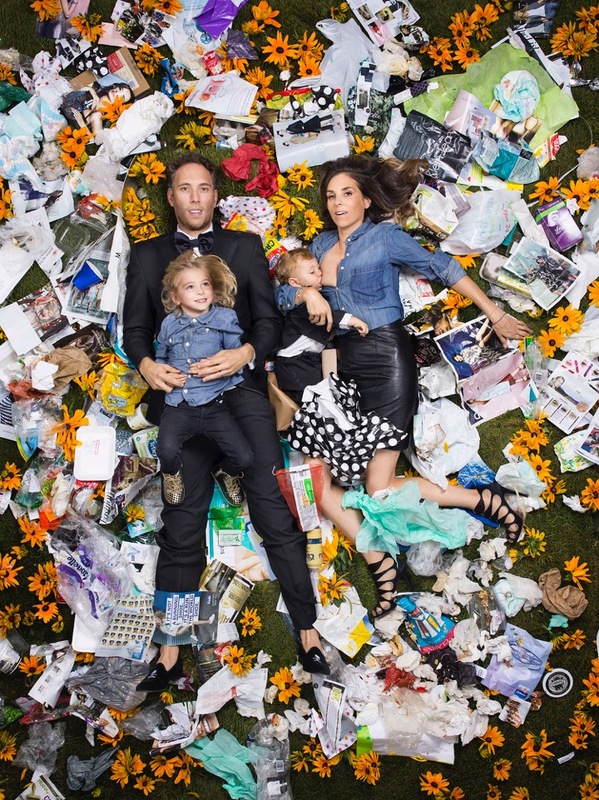 Studio 141 was hired by Gregg Segal Photography to style his '7 Days of Garbage' series. We used naturally sourced organic material to build outdoor scenes in-studio. 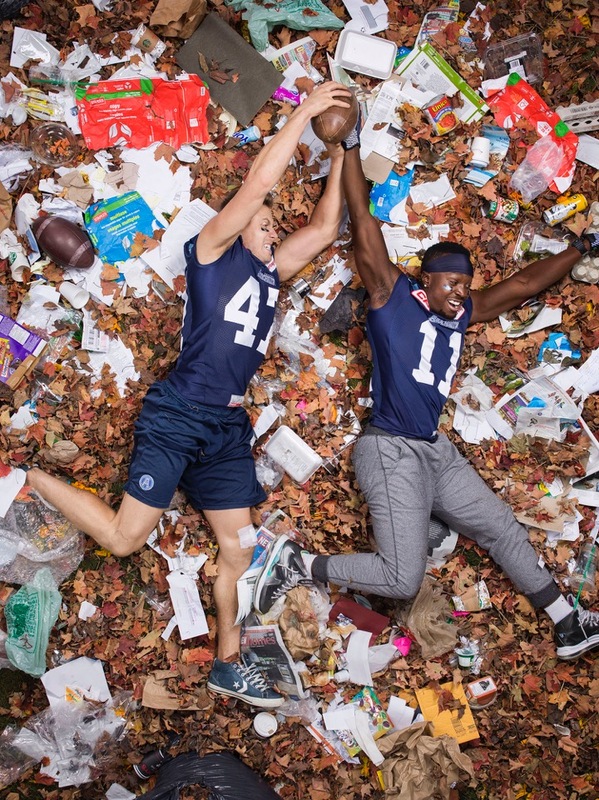 The photo series was exhibited in Union Station. 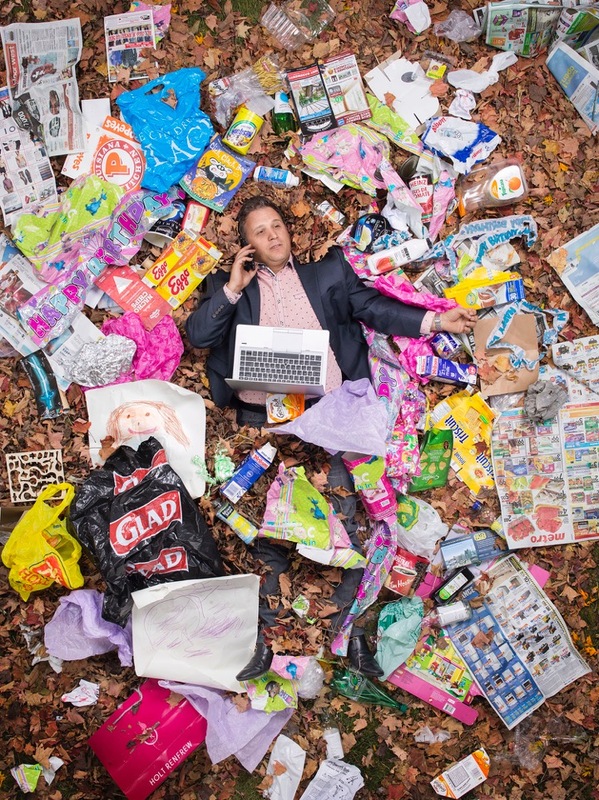 7 Days of Garbage calls attention to the problem of waste by personalizing it. 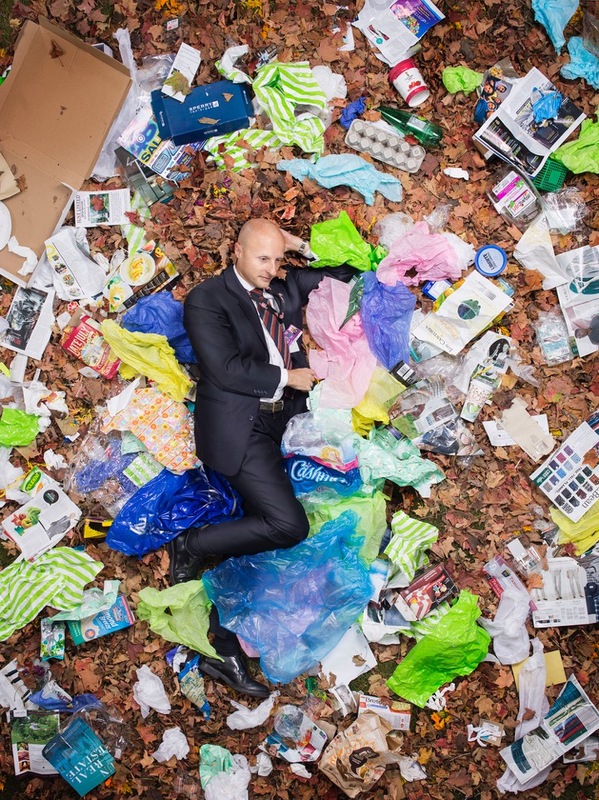 The photographer asked family, friends, neighbors and other acquaintances to save their trash and recyclables for a week and then lie down and be photographed in it.